Maybe you’ve heard that blogging or using social media can help further your career and business. This month, ASQ Influential Voices bloggers are sharing their thoughts on the benefits of blogging and social media use–and where to start if you’re interested in doing the same. 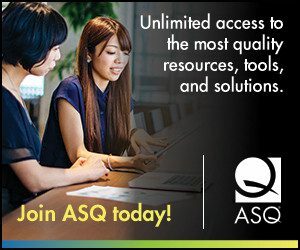 Google+ Hangout July 23: On Wednesday, July 23, ASQ is hosting a Google+ Hangout about the value of social media to quality professionals. The Hangout will be held at noon Central Time (U.S.) and also recorded for post-event viewing. We’ll be speaking with some of the ASQ Influential Voices bloggers, including Dan Zrymiak, Jennifer Stepniowski, Edwin Garro, and Babette Ten Haken. Watch the Hangout or get more details. Updated July 28: Watch a recording of the Hangout! Blog Boom: And you want a deeper dive into the hows and whys of blogging, readthe article “Blog Boom” in July Quality Progress. It’s an in-depth conversation with ASQ Influential Voices bloggers Dan Zrymiak, Jennifer Stepniowski, Mark Graban, Jimena Calfa, and John Hunter. Next Next post: July Roundup: What's the Purpose of Vision?